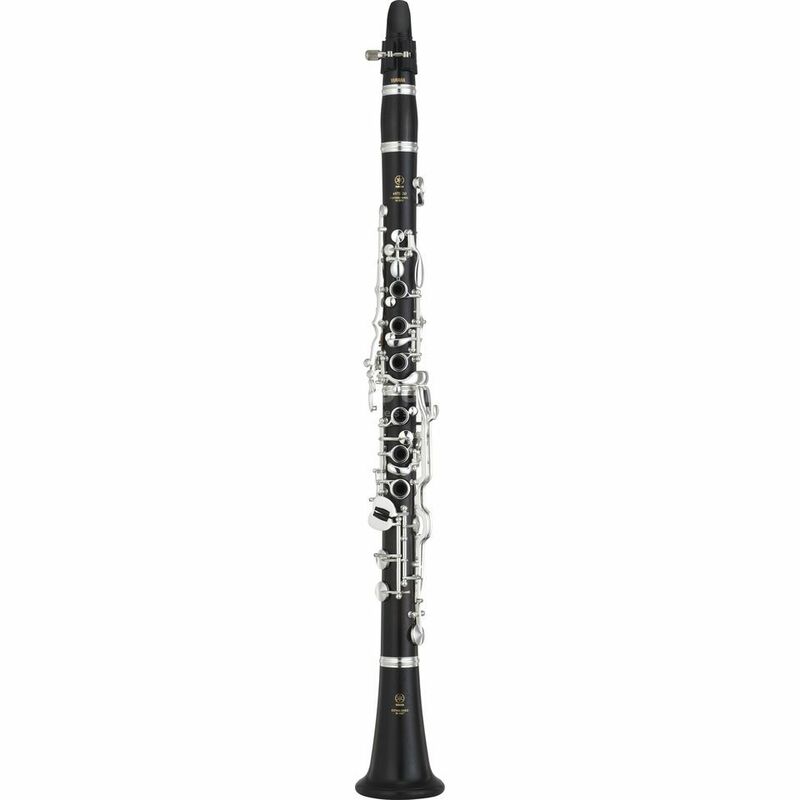 The YAMAHA YCL-457-II 20 Bb-Clarinet could be a long lasting companion for every player. Not only for beginners, but especially for intermediates it is a very good instrument. Noticabel technical changes are for example the F key on the left instead of an Eb key. To get an easier attack point in the middle and higher tone range the bore is much smaller than before. For a comfortable feeling while playing the YCL-457-II 20 Bb-Clarinet has a heightened plateau. Another important improvement is a metal application on the Eb-/B-key to save the cork and give it more stability. The "short" A key is combined with the G# key. This improves the sound of A and Bb and offers the possibility to trill G#-A much easier. Instead of natural cork the YAMAHA YCL-457-II 20 Bb-Clarinet uses a synthetic one for the upholstery. The thumb holder is now adjustable about 12 mm and has much more stability. There is also a ring to use a holder if necessary. !!! 3 Jahre Music Store Warranty !! !